Design for All | The Encyclopedia of Human-Computer Interaction, 2nd Ed. 42.1 What is Design for All? Contemporary interactive technologies and environments are used by a multitude of users with diverse characteristics, needs and requirements, including able-bodied and disabled people, people of all ages, people with different skills and levels of expertise, people from all over the world with different languages, cultures, education, etc. Additionally, interactive technologies are penetrating all aspects of everyday life, in communication, work and collaboration, health and well being, home control and automation, public services, learning and education, culture, travel, tourism and leisure, and many others. New technologies targeted to satisfy human needs in the above contexts proliferate, whether stationary or mobile, centralized or distributed, visible or encapsulated in the environment. A wide variety of devices is already available, and new ones tend to appear frequently and on a regular basis. 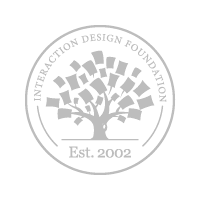 In this context above, interaction design acquires a new dimension, and the question arises of how it is possible to design systems that permit systematic and cost-effective approaches to accommodating all users. Design for All is an umbrella term for a wide range of design approaches, methods, techniques and tools to help address this huge diversity of needs and requirements in the design of interactive technologies. Design for All entails an effort to build access features into a product, starting from its conception and throughout the entire development life-cycle. identifies future directions in the context of the emerging paradigm of Ambient Intelligence. Universal Design for physical products and the built environment. 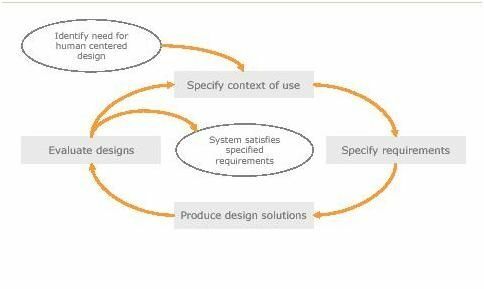 User-centered design (Vrendenburg et al., 2001; ISO 1999; ISO 2010) is an approach to interactive system design and development that focuses specifically on making systems usable. It is an iterative process whose goal is the development of usable systems, achieved through the involvement of potential users during the design of the system. An approach to designing ease of use into the total user experience with products and systems. It involves two fundamental elements—multidisciplinary teamwork and a set of specialized methods of acquiring user input and converting it into design. Author/Copyright holder: UXPA. Copyright terms and licence: All Rights Reserved. Reproduced with permission. See section "Exceptions" in the copyright terms below. Figure 42.1: User-centered design cycle. Active involvement of users and clear understanding of user and task requirements. The active involvement of end-users is one of the key strengths, as it conveys to designers the context of use in which the system will be used, potentially enhancing the acceptance of the final outcome. The appropriate allocation of functions between the user and the system. It is important to determine which aspects of a job or a task will be handled by users and which can be handled by the system itself. This division of labor should be based on an appreciation of human capabilities and their limitations, and on a thorough grasp of the particular demands of the task. Iteration of design solutions. Iterative design entails receiving feedback from end-users following their use of early design solutions. The users attempt to accomplish “real world” tasks using the prototype. The feedback from this exercise is used to further develop the design. Multi-disciplinary design teams. User centered system development is a collaborative process that benefits from the active involvement of various parties, each of whom have insights and expertise to share. Therefore, the development team should be made up of experts with technical skills in various phases of the design life cycle. The team might thus include managers, usability specialists, end-users, software engineers, graphic designers, interaction designers, training and support staff, and task experts. User-centered design claims that the quality of use of a system, including usability and user health and safety, depends on the characteristics of the users, tasks, and the organizational and physical environment in which the system is used. Also, it stresses the importance of understanding and identifying the details of this context in order to guide early design decisions, and provides a basis for specifying the content in which usability should be evaluated. 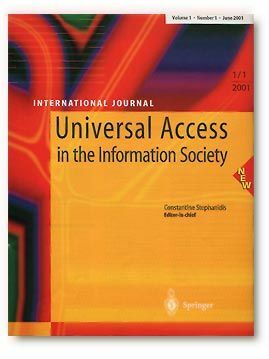 However, it is limited in its capability of addressing the diversity in user requirements, as it fosters the traditional perspective of “typical” or “average” users interacting with desktop computers in working environments (Stephanidis, 2001). While user-centered design focuses on maintaining a multidisciplinary and user-involving perspective into systems development, it does not specify how designers can cope with radically different user groups. Accessibility in the context of HCI refers to the access by people with disabilities to Information and Communication Technologies (ICT). Interaction with ICT may be affected in various ways by the user’s individual abilities or functional limitations that may be permanent, temporary, situational or contextual. 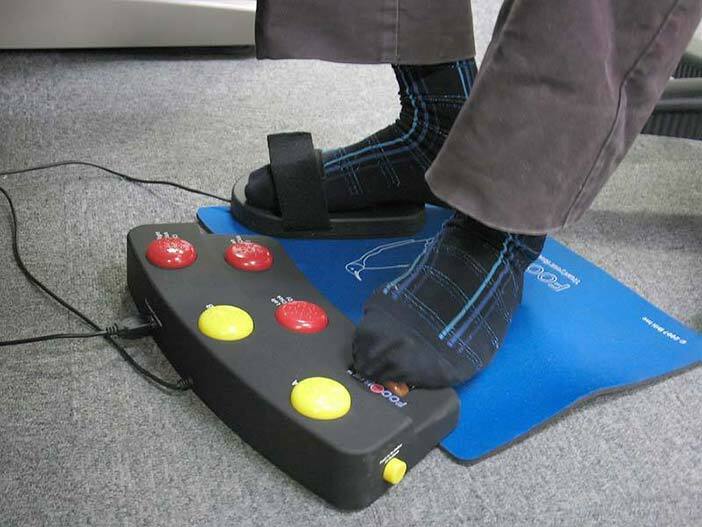 For example, someone with limited visual functions will not be able to use an interactive system which only provides graphical output, while someone with limited bone or joint mobility or movement functions, affecting the upper limbs, will encounter difficulties in using an interactive system that only accepts input through the standard keyboard and mouse. Accessibility in the context of HCI aims to overcome such barriers by making the interaction experience of people with diverse functional or contextual limitations as near as possible to that of people without such limitations. the user perceives and interprets the response (e.g., the users sees the message in the message window on the screen and reads it). A physical device is an artifact of the system that acquires (input device) or delivers (output device) information. Examples include keyboard, mouse, screen, and loudspeakers. An interaction technique involves the use of one or more physical devices to allow end-users provide input or receive output during the operation of a system. An interaction style is a set of perceivable interaction elements used by the user (through an interaction technique) or the system to exchange information sharing common aesthetic and behavioral characteristics. In graphical user interfaces the term interaction style is used to denote a common look and feel among interaction elements. Typical examples are menu selection and direct manipulation. Interaction elements compose the user interface of a system with user interaction resulting from physical actions. A physical action is an action performed either by the system or the user on a physical device. Typically, system actions concern feedback and output, while user actions provide input. Examples of input actions include pushing a mouse button or typing on a keyboard. Different interaction techniques and styles exploit different sensory modalities. In practice, the modalities related to seeing and hearing are the most commonly employed for output, whereas haptics is less used. Interestingly, however, haptics remains the primary modality for input (e.g., typing, pointing, touching, sliding, grabbing, etc). Taste and smell have only recently started being investigated for output purposes. the adopted interaction styles (and the resulting user interfaces) can be understood by the users (i.e., they are compatible with the user’s cognitive functioning). Given the degree of human diversity as regards the involved functions, accessibility requires the availability of alternative devices and interaction styles to accommodate different needs. In traditional efforts to improve accessibility, the main direction followed has been to enable disabled users to access interactive applications originally developed for able-bodied users through appropriate assistive technologies. 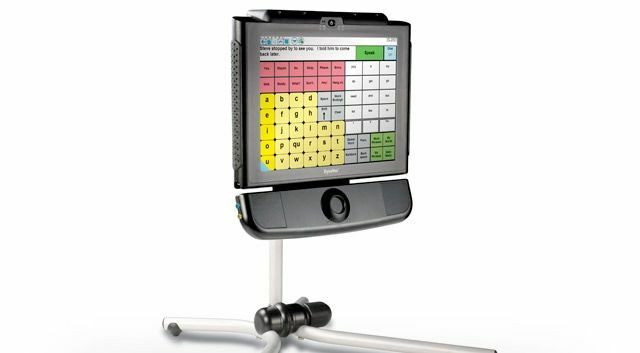 Assistive Technology (AT) is a generic term denoting a wide range of accessibility plug-ins including special-purpose input and output devices and the process used in selecting, locating, and using them. AT promotes greater independence for people with disabilities by enabling them to perform tasks that they were originally unable to accomplish, or had great difficulty accomplishing. In this context, it provides enhanced or alternative methods to interact with the technology involved in accomplishing such tasks. 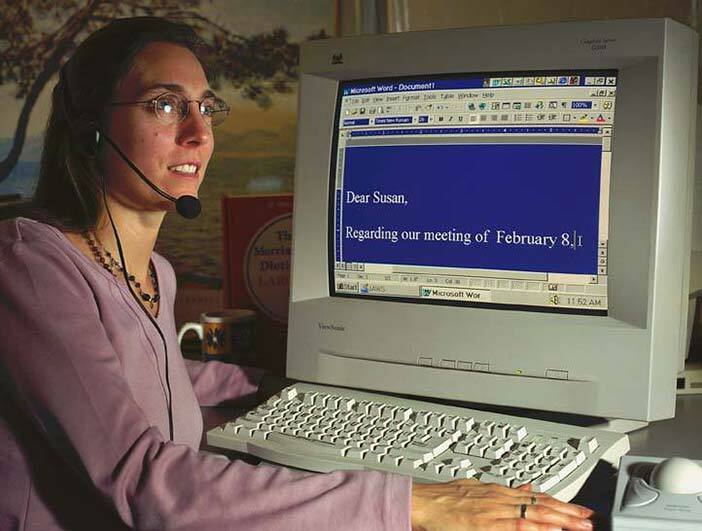 Popular Assistive Technologies include screen readers and Braille displays for blind users, screen magnifiers for users with low vision, alternative input and output devices for motor impaired users (e.g., adapted keyboards, mouse emulators, joystick, binary switches), specialized browsers, and text prediction systems). Author/Copyright holder: Clevy Keyboard. Copyright terms and licence: All Rights Reserved. Used without permission under the Fair Use Doctrine (as permission could not be obtained). See the "Exceptions" section (and subsection "allRightsReserved-UsedWithoutPermission") on the page copyright notice. Author/Copyright holder: gizmodo.com. Copyright terms and licence: All Rights Reserved. Used without permission under the Fair Use Doctrine (as permission could not be obtained). See the "Exceptions" section (and subsection "allRightsReserved-UsedWithoutPermission") on the page copyright notice. Assistive Technologies are essentially reactive in nature. They provide product-level and platform-level adaptation of interactive applications and services originally designed and developed for able-bodied users. The need for more systematic and proactive approaches to the provision of accessibility has led to the concept of Design for All. Such shift from accessibility, as traditionally defined in the assistive technology sector, to a Design for All perspective, is due to: (i) the rapid pace of technological developments, with many new systems, devices, applications, and users, making accessibility add-ons very difficult to develop; (ii) an increased interest in people at risk of technological exclusion, not only limited to people with disabilities. Under this perspective, accessibility has to be designed as a primary system feature, rather than decided upon and implemented a posteriori, thus integrating accessibility into the design process of all applications and services. Proactive approaches toward addressing people’s diversity first emerged in engineering disciplines, such as civil engineering and architecture, with many applications in interior design, building and road construction. The term Universal Design was coined by the architect Ronald L. Mace to describe the concept of designing all products and the built environment to be both aesthetically pleasing and usable to the greatest extent possible by everyone, regardless of their age, ability, or status in life (Mace et al., 1991). Although the scope of the concept has always been broader, its focus has tended to be on the built environment. Universal Design:is the design of products and environments to be usable by all people, to the greatest extent possible, without the need for adaptation or specialized design. The intent of Universal Design is to simplify life for everyone by making products, communications, and the built environment more usable by as many people as possible at little or no extra cost. 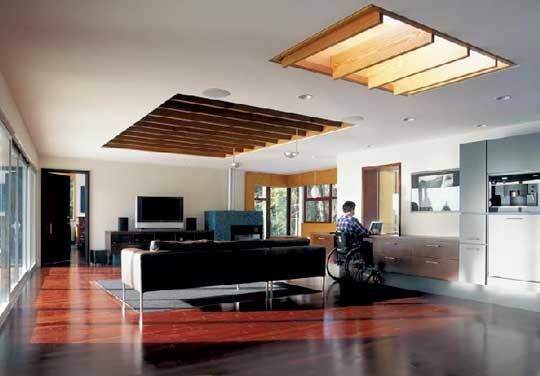 Universal Design benefits people of all ages and abilities. A classic example of Universal Design is the kerb cut (or sidewalk ramp), initially designed for wheelchair users to navigate from street to sidewalk, and today widely used in many buildings. Other examples are low-floor buses, cabinets with pull-out shelves, as well as kitchen counters at several heights to accommodate different tasks and postures. Author/Copyright holder: www.thelittlehousecompany.co.uk. Copyright terms and licence: All Rights Reserved. Used without permission under the Fair Use Doctrine (as permission could not be obtained). See the "Exceptions" section (and subsection "allRightsReserved-UsedWithoutPermission") on the page copyright notice. Author/Copyright holder: Mohammed Yousuf and Mark Fitzgerald. Copyright terms and licence: All Rights Reserved. Reproduced with permission. See section "Exceptions" in the copyright terms below. Perhaps the most common approach in Universal Design is to make information about an object or a building available through several modalities, such as Braille on elevator buttons, and acoustic feedback for traffic lights. People without disabilities can often benefit too. For example, subtitles on TV or multimedia content intended for the deaf can also be useful to non-native speakers of a language, to children for improving literacy skills, or to people watching TV in noisy environments. The seven Principles of Universal Design were developed in 1997 by a working group of architects, product designers, engineers, and environmental design researchers, led by Ronald Mace at North Carolina State University. The Principles "may be applied to evaluate existing designs, guide the design process and educate both designers and consumers about the characteristics of more usable products and environments." 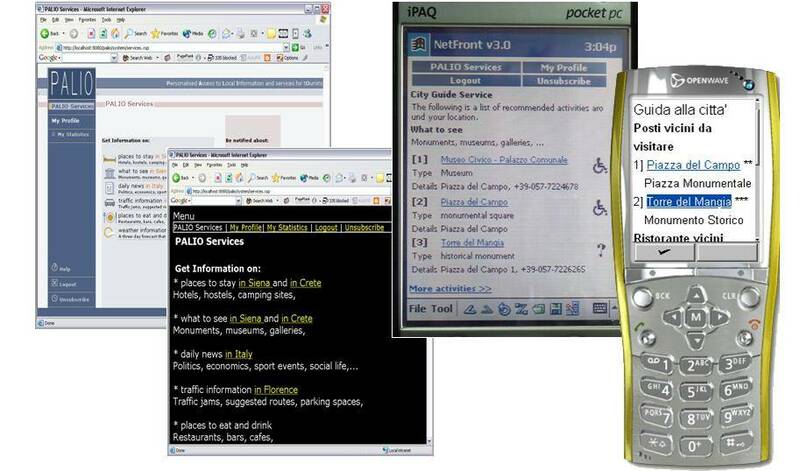 In the context of HCI, the above concepts were used by the end of the nineties to denote design for access by anyone, anywhere and at any time to interactive products and services. The term Design for All either subsumes, or is a synonym of, terms such as accessible design, inclusive design, barrier-free design, universal design, each highlighting different aspects of the concept. Design for All in HCI:Is the conscious and systematic effort to proactively apply principles and methods, and employ appropriate tools, in order to develop Information Technology &Telecommunications (IT&T) products and services which are accessible and usable by all citizens,thus avoiding the need for a posteriori adaptations, or specialized design.This entails an effort to build access features into a product starting from its conception, throughout the entire development life-cycle. Design for All in HCI implies a reconsideration of traditional design qualities such as accessibility and usability. It follows that accessibility is a fundamental prerequisite of usability, since there may not be optimal interaction if there is no possibility of interaction in the first place. The term “user diversity” refers to the various differences among users in their perception, manipulation, and utilization of technology. Understanding the various dimensions of user diversity helps design and develop user interfaces that maximize benefits for different types of users. There are several dimensions of diversity that differentiate people’s interactions with technology. At the heart of accessibility lies a focus on human diversity in relation to access and use of ICTs. Main efforts in this direction are concerned with the identification and study of diverse target user groups (e.g., people with various types of disabilities and elderly people), as well as of their requirements for interaction, and of appropriate modalities, interactive devices and techniques to address their needs. Much experimental work has been conducted in recent years in order to collect and elaborate knowledge of how various disabilities affect interaction with technology. Such understanding can be facilitated by the functional approach of the “International Classification of Functioning, Disability and Health (ICF)” (World Health Organization 2001), where the term disability is used to denote a multidimensional phenomenon resulting from the interaction between people and their physical and social environment. This allows grouping and analysis of limitations that are not only due to impairments, but also, for example, due to environmental reasons. Visual and auditory impairments significantly affect human-computer interaction. Blindness means anatomic and functional disturbances of the sense of vision of sufficient magnitude to cause total loss of light perception, while visual impairment refers to any deviation from the generally accepted norm. Blind users benefit from using the auditory and the haptic modality for output and input purposes. 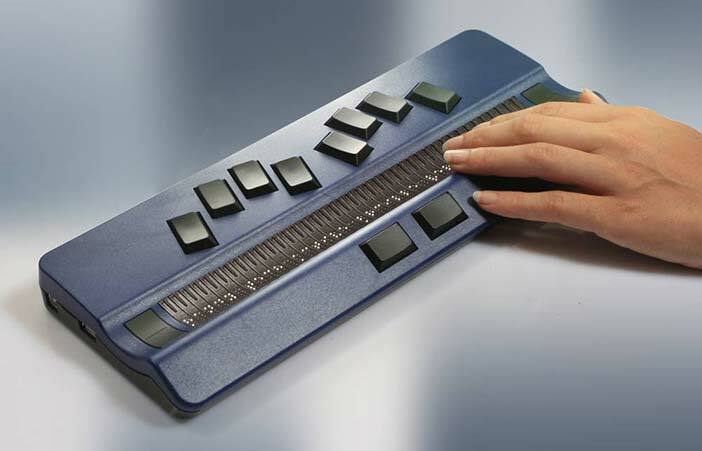 In practice, blind users’ interaction is supported through screen readers (i.e., specialized software which reads aloud a graphical interface to the user (Asakawa and Leporini, 2009)), or speech output, and Braille displays (see section Haptics). The latter are haptic devices, but require knowledge of the Braille code. Audio (non-speech) sound can also be used to improve the blind user’s interactive experience (Nees and Walker, 2009). Blind users can use keyboards and joysticks, though not the mouse. Therefore, all actions in a user interface must be available without the use of the mouse. It is also important for both output and input that the provided user interface is structured in such a way as to minimize the time required to access specific important elements (e.g., menus or links) when they are made available in a sequential fashion (e.g., through speech). Less severe visual limitations are usually addressed by increasing the size of interactive artifacts, as well as color contrast between the background and foreground elements of a user interface. Specific combinations of colors may be necessary for users with various types of color-blindness. Hearing impairments include any degree and type of auditory disorder, on a scale from slight to extreme. Hearing limitations can significantly affect interaction with technology. Familiar coping strategies for hearing-impaired people include the use of hearing aids, lip-reading and telecommunication devices for the deaf. Deaf users may not be comfortable with written language in user interfaces, and may benefit from sign-language translations of the information provided (see section Sign Language). The nature and causes of physical impairments vary; however, the most common problems faced by individuals with physical impairments include poor muscle control, weakness and fatigue, difficulty in walking, talking, seeing, speaking, sensing or grasping (due to pain or weakness), difficulty reaching things, and difficulty doing complex or compound manipulations (push and turn). Individuals with severe physical impairments usually have to rely on assistive devices such as mobility aids, manipulation aids, communication aids, and computer interface aids (Keates, 2009). Motion impairments interfere with the functions that are necessary for interacting with technology. For example, using a mouse and a keyboard can be challenging or painful. Therefore, motor-impaired users may benefit from specialized input devices minimizing movement and physical effort required for input, including adapted keyboards, mouse emulators, joystick and binary switches, often used in conjunction with an interaction technique called scanning (see section Scanning-based Interaction), as well as virtual on-screen keyboards for text input, sometimes supported by text prediction systems. Other interaction techniques which have been investigated for use by people with motion functions limitations are voice input of spoken commands (see section Speech), keyboard and mouse simulation through head movements (see section Gestures and Head Tracking), and eye-tracking (see section Eye-tracking). Brain-computer interfaces which allow control of an application simply by thought are also being investigated for supporting the communication of people with severe motor impairments (see section Brain Interfaces). Cognition is the ability of the human mind to process information, think, remember, reason, and make decisions. The extent of cognitive abilities varies greatly from person to person. Cognitive disability entails a substantial limitation in one's capacity to think, including: conceptualizing, planning, and sequencing thoughts and actions; remembering, interpreting subtle social cues, and understanding numbers and symbols. Cognitive disabilities can stem from brain injury, Alzheimers disease and dementia, severe and persistent mental illness, and stroke. Cognitive disabilities are many and diverse, individual differences are often very pronounced for these user groups, and it is particularly difficult to abstract and generalize the issues involved in researching user requirements for this part of the population. Various cognitive limitations and learning difficulties may affect the interaction process. General principles which facilitate access for users with some types of cognitive difficulties, but also for other user groups, such as, for example, older users, are to keep the user interface as simple and minimalistic as possible, provide syntactically and lexically simple text, reduce the need to rely on memory, allow sufficient time for interaction, and support user attention (Lewis, 2009). Specific developmental learning conditions such as dyslexia also require particular care in the use of text, fonts, colors, contrast and images in order to facilitate comprehension. Age plays a significant role in how a person perceives and processes information. Knowing the age of the target population of a technology product can provide vital clues about how to present information, feedback, video, audio, etc. Two user groups have particular requirements dependent on age: children (defined as users below the age of 18, with particular focus on children under the age of 12) and older persons (usually defined as users over the age of 65). In the United States, nearly half (48%) of all children aged six and under have used a computer, and more than one in four (30%) have played video games. By the time they are in the four-to six-year-old range, seven out of ten have used a computer (Wartella et al., 2005). The emergence of children as an important new user group of technology dictates the importance of supporting them in a way that is useful, effective, and meaningful for their needs. The physical and cognitive abilities of children develop over a period of years from infancy to adulthood. Children, particularly those who are very young, do not have a wide repertoire of experiences that guide their responses to cues. In addition to this lack of experience, children perceive the world differently from adults, and have their own likes, dislikes, curiosities and needs that are different from adults. Therefore, children should be regarded as a different user population with its own culture and norms (Bruckman and Bandlow, 2002). The design of applications for children poses a special challenge, as designers must learn how to perceive systems through the eyes of a child. For example, audio feedback may alarm very young children and extremely bright colors and video could easily distract them from the task. There is overwhelming evidence that the population of the developed world is ageing. In addition to the growing population of elders in the United States (20% of the entire population by 2030), these numbers are increasing on the global scale as well. It is estimated that, for the first time in history, the population of older adults will exceed the population of children (age 0-14) in the year 2050. Almost 2 billion people will be considered older adults by 2050 (US Department of Health and Human Services Administration on Ageing 2009). This large and diverse user group, with a variety of different physical, sensory, and cognitive capabilities, can benefit from technological applications which can enable them to retain their health, well being and independent living. Older users may experience a decrease in motor, sensory and cognitive functioning, which may lead to combined impairments and highly affect interaction (Kurniawan, 2009). Principles for providing accessibility to older users include improved contrast, enlargement of information presented on the screen, careful organization of information, choice of appropriate input devices, avoiding relying on memory, and design simplicity. Older people have a vast set of memories from experiences in the past that compose a large repertoire. This naturally influences their feelings towards technology. Older users may feel a sense of resistance to certain technologies, especially when dealing with applications for tasks that people are used to completing without technology, such as online banking systems. The feeling of being “forced” to adapt to technology during the later years of life can add to these feelings of resistance. The wide use of technology by a large group of the population has resulted in increased comfort with basic technological tools. However, the level of comfort and the ease of use of technology vary significantly depending on the skill levels of users (Ashok and Jacko, 2009). Some groups of users are unfamiliar with technology, particularly older users and those with minimal or no education, but are nevertheless required to use computing tools in order to keep up with the current evolution of society. The result is a mix of users with great diversity in technology skill level. The challenge of designing systems for users who fall within a wide and uneven spectrum of skills can be daunting. This is especially so because designers are typically experts in their respective domains and find it difficult to understand and incorporate the needs of novices. Judging the skill levels of users can be more difficult than assessing impairments or difficulties because users who are experts on a particular tool may find a new replacement tool hard to use and understand. This results in a situation where a person who apparently is an expert actually behaves like a novice. Feedback from users with different skill levels can provide fresh perspectives and new insights. Including useful help options, and explanations which can be expanded and viewed in more detail, consistent naming conventions, and uncluttered user interfaces, are just a few ways in which technology can be made accessible by users with less knowledge of the domain and system without at the same time reducing efficiency for expert users. In fact, these suggestions are guidelines of good design, which will benefit all users, irrespective of skill level. In today’s world, due to globalized technology, there is a significant shift in the perception, understanding, and experience of culture. The inclusion of this knowledge in technology will lead to more inclusiveness and tolerance. Language is an integral part of culture and much can be lost in translation due to language barriers. For example, many technological applications use English and this in itself could be a restricting factor for people who do not speak or write the language. Abbreviations, spelling, and punctuation are all linguistic variables. The connection between language and the layout of text on technical applications is a factor to be considered, since certain languages such as English and French lend themselves to shorter representations, while other languages may require longer formats. The term “localization” refers to customizing products for specific markets to enable effective use. Included in localization are language translations, changes to graphics, icons, content, etc. Other differences in culture include interpretations of symbols, colors, gestures, etc. For example, there are differences in the use of colors (green is a sacred color in Islam, yellow in Buddhism) and in the reading direction (e.g. left to right in N. America and Europe, right to left in the Middle East). Ideas on clothing, food, and aesthetic appeal also vary from culture to culture. These numerous differences make it imperative that designers are sensitive to these differences during the creation of technology and avoid treating all cultures as the same. Rather than neutralize cultural and linguistic differences, Design for All acknowledges, recognizes, appreciates, and integrates these differences (Marcus and Rau, 2009). Globalization has created an environment of rich information and easy communication. Social issues such as economic and social status pose a serious challenge with respect to access to technology. In many parts of the world, only the wealthier segments of society have the opportunity to use technology and benefit from it. Poverty, social status and limited educational opportunities create barriers to technology access. Designing applications that are equally accessible and equally easy to use for every single socio-economic group in the world is virtually impossible, but there are lessons to be learned from considering the needs of various social groups. Studies have revealed that a certain level of education, technical education to be precise, is required to receive optimal productivity from the use of technology (Castells, 1999). The realization that technological benefits are available more readily to the educated conveys a simple message regarding the responsibility of designers, developers, engineers, and all those involved in the creation of technology. This team of people creates and distributes technology, and it is critically important for them to be educated in matters of universal access and issues related to the diversity of users, including the need to consider designing for the undereducated. Designing for technological literacy becomes therefore a top priority. Diversity does not only concern users, but also interaction environments and technologies, which are continuously developing and diversifying. Temporary states of impairment may be created by the particular contexts in which users interact with technology. For instance, a working environment in which noise level and visual distractions of the environment are high can interfere with the efficient use of computer-based applications. Impairments caused by contextual factors are known as situationally-induced impairments (Sears et al., 2003). Technology itself can also cause situationally-induced impairments. For example, when screens are too small, the user may become vision-impaired in this particular situation. The diffusion of the Internet and the proliferation of advanced interaction technologies (e.g., mobile devices, network attachable equipment, virtual reality, agents, etc.) signify that many applications and services are no longer limited to the visual desktop, but span over new realities and interaction environments. Overall, a wide variety of technological paradigms plays a significant role for Design for All, either by providing new interaction platforms, or by contributing at various levels to ensure and widen access. The World Wide Web and its technologies are certainly a fundamental component of this landscape. Various challenges exist and solutions have been elaborated to make the Web accessible to all. The World Wide Web offers much for those who are able to access its content, but at the same time access is limited by serious barriers due to limitations of visual, motor, language, or cognitive abilities. Another very important and rapidly progressing technological advance is that of mobile computing. Mobile devices acquire an increasingly important role in everyday life, both as dedicated tools, such as media players, and multi-purpose devices, such as smart phones. The device needs to be easy to use, even on the move. Mobile interaction often brings forward contradictory design goals and requirements. The environments of mobile contexts are demanding due to characteristics such as noise or poor lighting. The user may need to multitask and that leaves only part of his/her attention for using the device. Also cultural differences and user expectations have a major impact on the use of the devices. These characteristics of mobile devices and usage situations set high demands for design. Similar to any other application field, mobile user groups can be defined by age, abilities and familiarity with the environment. However, the requirements that each user group sets for mobile devices and services vary in different contexts of use. Mobility brings about the challenge that contexts of use vary greatly and may change, even in the middle of usage situations. The variable usage contexts need to be taken into account when designing mobile devices and services. The initial assumption of mobile devices and services is that they can be used “anywhere”. This assumption may not always be correct; the environment and the context create challenges in use. Using mobile phones is prohibited in some environments and in some places there may not be network coverage. The user can be physically or temporally disabled. In dark or bright environments it may be hard to see the user interface elements. In a crowded place it may be difficult to carry on a voice conversation over the phone—even more difficult than in a face to face situation, when you can use non-verbal cues to figure out what the other person is saying if you cannot hear every word. In social communication the context plays an important role; people often start telephone conversations by asking the other person’s physical location— “Where are you”—to figure out whether the context of the other person allows the phone call. In the context of Design for All, user interface design methodologies, techniques and tools acquire increased importance. Various methods, techniques, and codes of practice have been proposed to enable authors proactively to take into account and appropriately address diversity in the design of interactive artifacts. Three fundamental approaches are outlined below. Guidelines and standards have been formulated in the context of international collaborative initiatives towards supporting the design of interactive products, services and applications, which are accessible to most potential users without any modifications. This approach has been mainly applied to the accessibility of the World Wide Web. 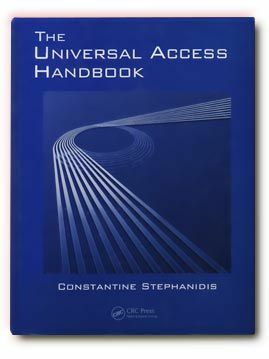 A number of accessibility guidelines collections have been developed (Pernice and Nielsen, 2001; Vanderheiden et al., 1996). In particular, the Web Content Accessibility Guidelines (WCAG) explain how to make Web content accessible to people with disabilities (W3C, 1999). Web "content" generally refers to the information in a Web page or Web application, including text, images, forms, sounds, etc. WCAG 1.0 provides 14 guidelines that are general principles of accessible design. Each guideline has one or more checkpoints that explain how the guideline applies in a specific area. WCAG foresees 3 levels of compliance, A, AA and AAA. Each level requires a stricter set of conformance guidelines, such as different versions of HTML (Transitional vs. Strict) and other techniques that need to be incorporated into code before accomplishing validation. Further to WCAG 1.0, in December 2008, the W3C published a new version of the guidelines, targeted to help Web designers and developers to create sites that better meet the needs of older users and users with disabilities. Drawing on extensive experience and community feedback, WCAG 2.0 (W3C, 2008) improves upon WCAG 1.0 and applies to more advanced technologies. Guidelines are also available for the usability of web interfaces on mobile devices (W3C, 2005). WCAG 2.0 guidelines are organized around four principles that provide the foundation for Web accessibility, namely perceivable, operable, understandable, and robust. The 12 guidelines provide the basic goals that authors should work toward in order to make content more accessible to users with different disabilities. The guidelines are not testable, but provide the framework and overall objectives to help authors understand the success criteria and better implement the techniques. For each guideline, testable success criteria are provided to allow WCAG 2.0 to be used where requirements and conformance testing are necessary such as in design specification, purchasing, regulation, and contractual agreements. In order to meet the needs of different groups and different situations, three levels of conformance are defined: A (lowest), AA, and AAA (highest). WACAG guidelines also address content used on mobile devices. The use of guidelines is today the most widely adopted process by web authors for creating accessible web content. This approach has proven valuable for bridging a number of barriers faced today by people with disabilities. In addition, guidelines serve those with low levels of experience with computers, and facilitate interoperability with new and emerging technology solutions (e.g., navigator with voice recognition for car drivers). Additionally, guidelines constitute de facto standards, as well as the basis for legislation and regulation related to accessibility in many countries (Kemppainen, 2009). For example, the US government Section 508 of the US Rehabilitation Act (Rehabilitation Act of 1973, Amendment of 1998) provides a comprehensive set of rules designed to help web designers make their sites accessible. However, many limitations arise in the use of guidelines for a number of reasons. These include the difficulty in interpreting and applying guidelines, which require extensive training. Additionally, the process of using, or testing conformance to, widely accepted accessibility guidelines is complex and time consuming. To address this issue, several tools have been developed enabling the semi-automatic checking of html documents. Such tools make the development of accessible web content easier, particularly since the checking of conformance does not rely solely on the expertise of developers. Developers with limited experience in web accessibility can use such tools for evaluating web content and without the need to go through a large number of checklists. Despite the proven usefulness of WCAG for web accessibility, it is common for web content manufacturers to ignore or overlook them, thus limiting the ability of disabled users to navigate through the information and services offered by a website. The guideline principles are therefore far from being well integrated, even to public Web sites where legislation enforces it. Recent studies reveal that web accessibility metrics are worsening worldwide (Basdekis, et al., 2010). As a final consideration, guidelines are usually applied following a “one-size-fits-all” approach to accessibility, which, while ensuring a basic level of accessibility for users with various types of disabilities, does not support personalization and improved interaction experience. Besides web accessibility, guidelines and standards are available also for other types of applications. For example, major software companies have launched accessibility initiatives and provide accessibility guidelines for developers using their tools and development environments. Examples are (Microsoft, 2013), (Adobe, 2013), and (IBM, 2013). Accessibility of multimedia content is also addressed by international consortia, especially in the domain of education, e.g., (IMS, 2013), but also by content providers, e.g., (BBC, 2013). Other accessibility related activities by international, European and National standardization bodies are discussed in details in (Engelen, 2009). In the light of the above, it appears that design approaches focusing on the delivery of single interaction elements to be used by everybody offer limited possibilities of addressing the diverse requirements reflected in all users. Therefore, a critical property of interactive elements becomes their capability for some form of automatic adaptation and personalization (Stephanidis, 2001). Adaption-based approaches promote the design of products which are easily adaptable to different users by incorporating adaptable or customizable user interfaces. This entails an effort to build access features into a product, starting from its conception and continuing throughout the entire development life-cycle. Methods and techniques for user interface adaptation meet significant success in modern interfaces. Some popular examples include the desktop adaptations in various versions of Microsoft Windows, offering, for example, the ability to hide or delete unused desktop items, and personalization features of the desktop based on the preferences of the user, by adding helpful animations, transparent glass menu bars, live thumbnail previews of open programs and desktop gadgets (like clocks, calendars, weather forecast, etc.). Similarly, Microsoft Office applications offer several customizations, such as toolbars positioning and showing/hiding recently used options. However, adaptations integrated into commercial systems need to be set manually, and mainly focus on aesthetic preferences. In terms of accessibility and usability, only a limited number of adaptations are available, such as keyboard shortcuts, size and zoom options, changing color and sound settings, automated tasks, etc. Research efforts in the past decades have elaborated more comprehensive and systematic approaches to user interface adaptations in the context of Design for All. 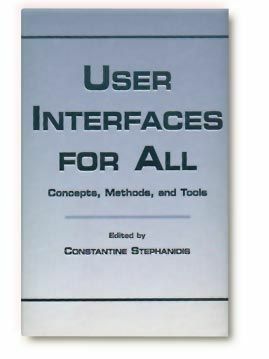 The Unified User Interfaces methodology was conceived and applied (Savidis and Stephanidis, 2009) as a vehicle to ensure, efficiently and effectively through automatic adaptation, the accessibility and usability of UIs to users with diverse characteristics, also supporting technological platform independence, metaphor independence, and user-profile independence. Automatic UI adaptation seeks to minimize the need for a posteriori adaptations and deliver products that can be adapted for use by the widest possible end user population (adaptable user interfaces). This implies the provision of alternative interface instances depending on the abilities, requirements, and preferences of the target user groups, as well as the characteristics of the context of use (e.g., technological platform, physical environment). The main objective is to ensure that each end-user is provided with the most appropriate interactive experience at run-time. Designing for automatic adaptation is a complex process. Designers should be prepared to cope with large design spaces to accommodate design constraints posed by diversity in the target user population and the emerging contexts of use. Therefore, designers need accessibility knowledge and expertise. Moreover, user adaptation must be carefully planned, designed and accommodated into the life-cycle of an interactive system, from the early exploratory phases of design, through to evaluation, implementation, deployment, and maintenance. Author/Copyright holder: Stephanidis. Copyright terms and licence: All Rights Reserved. Reproduced with permission. See section "Exceptions" in the copyright terms below. 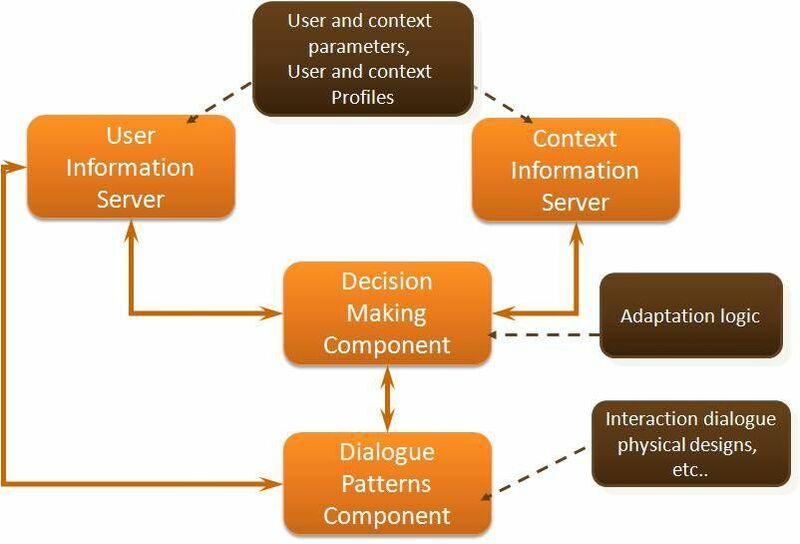 A series of tools and components have been developed to support Unified User Interface design, including toolkits of adaptable interaction objects, languages for user profiling and adaptation decision making, and prototyping tools (Stephanidis et al., 2012). These tools are targeted to support the design and development of user interfaces capable of adaptation behavior, and more particularly the conduct and application of the Unified User Interface development approach. Over the years, these tools have demonstrated the technical feasibility of the approach and have contributed to reducing the practice gap between traditional user interface design and design for adaptation. They have been applied in a number of pilot applications and case studies. Author/Copyright holder: Stephanidis et al., 2001. Copyright terms and licence: All Rights Reserved. Reproduced with permission. See section "Exceptions" in the copyright terms below. Author/Copyright holder: Stephanidis et al., 2005. Copyright terms and licence: All Rights Reserved. Reproduced with permission. See section "Exceptions" in the copyright terms below. Author/Copyright holder: Grammenos et al., 2005. Copyright terms and licence: All Rights Reserved. Reproduced with permission. See section "Exceptions" in the copyright terms below. Author/Copyright holder: Doulgeraki et al., 2009. Copyright terms and licence: All Rights Reserved. Reproduced with permission. See section "Exceptions" in the copyright terms below. The emergence of cloud computing in recent years is opening new opportunities for the provision of accessibility. Accessibility in the cloud is another approach targeted to move away from the concept of special "assistive technologies" and "disability access features" and towards providing more mainstream interface options for everyone, i.e., interfaces appropriate for people facing barriers in the use of interactive technologies due to disability, literacy or age-related issues, but also for people who just want a simpler interface, have a temporary disability, want access when their eyes are busy doing something else, want to rest their hands or eyes, or want to access information in noisy environments (Vanderheiden et al., 2013). Thus, the approach is targeted to everybody, including people with specific disabilities, such as (indicatively) blind and low-vision users, motor impaired users, users with cognitive impairments, hearing impairment users, and speech impaired users. The main objective is to create an infrastructure that will support the creation of solutions that correspond to and respect the full range of human diversity. New systems need to allow prospective users to access and use solutions not just on a single computer, but on all of the different computers and ICT that they must use (at home, at work, when travelling, etc). The infrastructure will enable users to declare requirements in functional terms (whether or not they fill into traditional disability categories) and allow service providers, crowd sourcing mechanisms, and commercial entities to respond to these requirements. This will mean that users with disabilities do not need to be constrained by their diagnostic categories, thus avoiding stereotyping and recognizing that everyone’s requirements are different and that each individual’s requirements may change according to the context. Technically the approach is based on the creation of an explicit and implicit user profile (stored either locally or in the cloud), that automatically matches mainstream products and services with necessary access features and configures them according to the user’s preferences and context of use. The infrastructure would consist of enhancements to platform and network technologies to simplify the development, delivery and support of access technologies and provide users with a way to instantly apply the access techniques and technologies they need, automatically, on any computers or other ICT. Currently, the infrastructure is in its conceptualization and development phases. Although its basic concepts are based on past work and implementations, current efforts attempt to apply them together across the different platforms and technologies, and in a manner that can scale to meet the need. A wide range of delivery options is currently under development and testing, including auto-personalization of different OSs, browsers, phones, web apps, kiosks, ITMs, DTVs, smart homes and assistive technologies (cloud and installed). The emergence of user-centered design (see section Brief History) has led to the development and practice of a wide variety of design methods and techniques, mostly originating from the social sciences, psychology, organizational theory, creativity and arts, as well as from practical experience (Maguire and Bevan 2002). Many of these techniques are based on the direct participation of users or user representatives in the design process. However, the vast majority of available techniques have been developed with the “average” able-bodied user and the working environment in mind. In Design for All, this precondition no longer holds, and the basic design principle of “knowing the user” becomes “knowing the diversity of users”. Therefore, the issue arises of which methods and techniques can be fruitfully employed while addressing diversity in design, and how such techniques need to be used, revised and modified to optimally achieve this purpose. This is further complicated by the fact that, in Design for All, more than one group of users with diverse characteristics and requirements need to be taken into account (Antona et al., 2009). Practical and organizational aspects of the involvement process play an important role when non-traditional user groups are addressed, and are critical to the success of the entire effort. Their importance should not be underestimated. Very few design methods can be used as they stand when addressing diverse user groups. One of the main issues is therefore how to appropriately adapt and fine-tune methods to the characteristics of the people involved. Methods are mostly based on communication between users and other stakeholders in the design process. Therefore, the communication abilities of the involved users should be a primary concern. Popular methods of exploring the user experience come from field-research in anthropology, ethnography and ethnomethodology (Beyer and Holtzblatt, 1997). Direct observation is one of the hallmark methods of ethnographic approaches. It involves an investigator viewing users as they conduct some activity. The goal of field observation is to gain insight into the user experience as experienced and understood within the context(s) of use. Examining the users in context is claimed to produce a richer understanding of the relationships between preference, behavior, problems and values. Observation sessions are usually video-recorded, and the videos are subsequently analyzed. The effectiveness of observation and other ethnographic techniques can vary, as users have a tendency to adjust the way they perform tasks when knowingly being watched. The observer needs to be unobtrusive during the session and only pose questions when clarification is necessary. Field studies and direct observation can be used when designing for users with disabilities and older users. This method does not specifically rely on the participants’ communication abilities, and is therefore useful when the users have cognitive disabilities. Observational studies have been conducted with blind users in order to develop design insights for enhancing interactions between a blind person and everyday technological artifacts found in their home such as wristwatches, cell phones or software applications (Shinohara, 2006). Analyzing situations where work-arounds compensate for task failures reveals important insights for future artifact design for the blind, such as tactile and audio feedback, and facilitation of user independence. A difficulty with direct observation studies is that they may in some cases be perceived as a form of “invasion” of the user’s space and privacy, and therefore may not be well accepted, for example, by disabled or older people who are not keen to reveal their problems in everyday activities. User surveys, originating from social science research, involve administering a set of written questions to a sample population of users, and are usually targeted to obtaining statistically relevant results. Questionnaires are widely used in HCI, especially in the early design phases but also for evaluation. Questionnaires need to be carefully designed in order to obtain meaningful results (Oppenheim, 2000). Research shows that there are age differences in the way older and younger people respond to questionnaires. For example, older people tend to use the “Don't know” response more often than younger people. They also seem to use this answer when faced with questions that are complex in syntax. Their responses also seem to avoid the extreme ends of ranges. Having the researcher administer the questionnaire directly to the user may help to retrieve more useful and insightful information (Eisma et al., 2004). In-home interviews are effective in producing a wealth of information from the user that could not have been obtained by answering a questionnaire alone (Dickinson et al., 2002). Since questionnaires and surveys address a wide public, and it is not always possible to be aware of the exact user characteristics (i.e., if they use Braille or if they are familiar with computers and assistive hardware and software), they should be available either in alternative formats or in accessible electronic form. The simple and comprehensible formulation of questions is vital. Questions must also be focused to avoid gathering large amounts of irrelevant information. Interviews are another ethnographically-inspired user requirements collection method. In HCI, as generally in software system development, it is a commonly used technique where users, stakeholders and domain experts are questioned to obtain information about their needs or requirements in relation to a system (Macaulay, 1996). Interviews can be unstructured (i.e., no specific sequence of questions is followed), structured (i.e., questions are prepared and ordered in advance) or semi-structured (i.e., based on a series of fixed questions with scope for the user to expand on their responses). The selection of representative users to be interviewed is important in order to obtain useful results. Interviews on a customer site by representatives from the system development team can be very informative. Semi-structured interviews have been used to identify accessibility issues in mobile phones for blind and motor impaired users (Smith-Jackson et al., 2003. With older people, interviews as a means for gathering user requirements has also proven to be an effective method, although in-house interviews can be even more productive, because they tend to lead to spontaneous excursions into users' own experiences, and demonstrations of various personal devices used. Obviously, interviews present difficulties when deaf people are involved, and sign-language translation may be necessary. Interviews are often avoided when the target user group is composed of cognitively and communication impaired people. Recently, a trend to conduct interviews on-line using chat tools has also emerged. An obvious consideration in this respect is that the used chat tool must be accessible and compatible with screen readers. Diary keeping is another ethnographically inspired method which provides a self-reported record of user behavior over a period of time (Gaver et al., 1999). Participants are required to record activities they are engaged in during a normal day. Diaries allow identifying patterns of behavior that would not be recognizable through short-term observation. However, they require careful design and prompting if they are to be employed properly by participants. Diaries can be textual, but also visual, employing pictures and videos. Generalizing the concept of diaries, “cultural probes” are based on “kits” containing a camera, voice recorder, a diary, postcards and other items. They have been successfully employed for user requirements elicitation in home settings with sensitive user groups, such as former psychiatric patients and the elderly (Crabtree et al., 2003). Reading and writing a paper-based diary may be a difficult process for the blind and users with motor impairments. Therefore, diaries in electronic forms or audio recorded diaries should be used in these cases. Brainstorming, originating from early approaches to group creativity, is a process where participants from different stakeholder groups engage in informal discussion to rapidly generate as many ideas as possible. All ideas are recorded, and criticism of others’ ideas is forbidden. Overall, brainstorming can be considered as appropriate when the users to be involved have good communication abilities and skills (not necessarily verbal), but can also be adapted to the needs of other groups. This may have implications in terms of the pace of the discussion and generation of ideas. Focus groups are inspired from market research techniques. They bring together a cross-section of stakeholders in a discussion group format. The general idea is that each participant can act to stimulate ideas, and that by a process of discussion, a collective view is established (Bruseberg and McDonagh-Philp, 2001). Focus groups typically involve six to twelve persons, guided by a facilitator. Several discussion sessions may be organized. The main advantage of using focus groups for users with disabilities is that it does not discriminate against people who cannot read or write and it can encourage participation from people reluctant to be interviewed on their own or who feel they have nothing to say. During focus groups, various materials can be used for review, such as storyboards (see section Scenario, Storyboards and Personas). This method should not be employed for requirements elicitation if the target user group has severe communication problems. Moreover, it is important that the discussion leader manages the discussion effectively and efficiently, allowing all users to participate actively in the process, regardless of their disability. Focus groups have been used for eliciting expectations and needs from the learning disabled, as it was felt they would result in the maximum amount of quality data (Hall and Mallalieu, 2003). They allow a range of perspectives to be gathered in a short time period in an encouraging and enjoyable way. This is important, as, typically, people with learning disabilities have a low attention span. Concerning older people, related research has found that it is not easy to keep a focus group of older people focused on the subject being discussed (Newell et al., 2007). Participants tend to drift their discussions off the subject matter as for them the focus group meeting is a chance to socialize. Thus, it is important to provide a social gathering as part of the experience of working with IT researchers rather than treat them simply as participants. Empathic modeling is a technique intended to help designers/developers put themselves in the position of a disabled user, usually through disability simulation (Nicolle and Maguire, 2003). This technique was first applied to simulate age-related visual changes in a variety of everyday environmental tasks, with a view to eliciting the design requirements of the visually impaired in different architectural environments. Empathic modeling can be characterized as an informal technique, and there are no specific guidelines on how to use it. Modeling techniques for specific disabilities can be applied through simple equipment. Visual impairment due to cataracts can be simulated with the use of an old pair of glasses smeared with Vaseline. Total blindness is easy to simulate using a scarf or a bandage tied over the eyes. Total hearing loss can be easily simulated using earplugs. Upper limb mobility impairments can be simulated with the use of elastic bands and splints. Scenarios are widely used in requirements elicitation and, as the name suggests, are narrative descriptions of interactive processes, including user and system actions and dialogue. Scenarios give detailed realistic examples of how users may carry out their tasks in a specified context with the future system. The primary aim of scenario building is to provide examples of future use as an aid to understanding and clarifying user requirements and to provide a basis for later usability testing. Scenarios can help identify usability targets and likely task completion times (Carroll, 1995). Storyboards are graphical depiction of scenarios, presenting sequences of images that show the relationship between user actions or inputs and system outputs. Storyboarding originated in the film, television and animation industry. A typical storyboard contains a number of images depicting features such as menus, dialogue boxes, and windows (Truong et al., 2006). Another scenario-related method is called personas (Cooper, 1999), where a model of the user is created with a name, personality and picture, to represent each of the most important user groups. The persona model is an archetypical representation of real or potential users. It is not a description of a real user or an average user. The persona represents patterns of users’ goals and behavior, compiled in a fictional description of a single individual. Potential design solutions can then be evaluated against the needs of particular personas and the tasks they are expected to perform. Zimmermann and Vanderheiden (2008) propose a methodology based on the use of scenarios and personas to capture the accessibility requirements of older people and people with disabilities and structure accessibility design guidelines. The underlying rationale is that the use of these methods has great potential to make this type of requirement more concrete and comprehensible for designers and developers who are not familiar with accessibility issues. However, really reliable and representative personas can take a long time to create. Additionally, personas may not be well suited to presenting detailed technical information, e.g., about disability, and their focus on representative individuals can make it more complex to capture the range of abilities in a population. It is self-evident that storyboarding is not optimal for blind users, while it requires particular care for users with limited vision or color-blindness. On the contrary, it would appear to be a promising method for deaf or hearing-impaired users. A prototype is a concrete representation of part or all of an interactive system. It is a tangible artifact, does not require much interpretation, and can be used by end users and other stakeholders to envision and reflect upon the final system (Beaudouin-Lafon and Mackay 2002). Off-line prototypes (also called paper prototypes) include paper sketches, illustrated story-boards, cardboard mock-ups and videos. They are created quickly, usually in the early stages of design, and they are usually thrown away when they have served their purpose. On-line prototypes, on the other hand, include computer animations, interactive video presentations, and applications developed with interface builders. Prototypes also vary regarding their level of precision, interactivity and evolution. With respect to the latter, rapid prototypes are created for a specific purpose and then thrown away, iterative prototypes evolve, either to work out some details (increasing their precision) or to explore various alternatives, and evolutionary prototypes are designed to become part of the final system. Research has indicated that the use of prototypes is more effective than other methods, such as interviews and focus groups, when designing innovative systems for people with disabilities, since potential users may have difficulty imagining how they might undertake familiar tasks in new contexts (Petrie et al., 1998). Using prototypes can be a useful starting point for speculative discussions, enabling the users to provide rich information on details and preferred solutions. Prototypes are usually reviewed through user-trials, and therefore all considerations related to user trials and evaluation are pertinent. An obvious corollary is that prototypes must be accessible in order to be tested with disabled people. This may be easier to achieve with on-line prototypes, closely resembling the final system, than with paper prototypes. In user trials, a product is tested by “real users” trying it out in a relatively controlled or experimental setting, following a standardized set of tasks to perform. User trials are performed for usability evaluation purposes. However, the evaluation of existing or competitive systems, or of early designs or prototypes, is also a way to gather user requirements (Maguire and Bevan 2002). While there are wide variations in where and how a user trial is conducted, every user trial shares some characteristics. The primary goal is to improve the usability of a product by having participants who are representative of real users to use the product carrying out real tasks while being observed; the data that is collected is later analyzed. In field studies, the product or service is tested in a “real-life” setting. In user trials, an appropriately equipped room needs to be available for each session. When planning the test, it should be taken into account that trials with elderly and users with disabilities may require more time than usual in order to complete the test without anxiety and frustration. Research on the use of the most popular methods has indicated that modifications to well established user trial methods are necessary when users with disabilities are involved. For example, the think aloud protocol has been adapted to be applied differently when carrying out user trials with deaf users and blind users respectively (Chandrashekar et al., 2006; Roberts and Fels, 2006). Furthermore, explicitly emphasizing during the instructions that it is the product that is being tested and not the user is very important (Poulson, Ashby and Richardson, 1996), since a trial may reveal serious problems with the product, to the extent that it may not prove possible to carry out some tasks. Therefore, it is important that users do not feel uncomfortable and attribute the product failure to their disability. When the user trial participants are users with upper limb motor impairments and poor muscle control, it should be ensured that testing sessions are short, so as to prevent excessive fatigue. Testing applications with children requires special planning and care. Guidelines have been developed to conduct usability testing with children. These guidelines provide a useful framework to obtain maximum feedback from children, while at the same time ensuring their comfort, safety and sense of well-being (Hanna, Risden and Alexander 1997). The need to involve children in every stage of design is particularly important in the case of children’s technology, because for adult designers it is difficult (and often incorrect) to make assumptions about how a child may view or interpret data. Participatory design may adopt a wide variety of techniques, including brainstorming, scenario building, interviews, sketching, storyboarding and prototyping, with the full involvement of users. Traditionally, partnership design techniques have been used for gathering user requirements from adult users. However, in the past few years a number of research projects have shown ways to adapt these techniques to benefit the design of technology process for non-traditional user groups, such as children and the elderly. Cooperative inquiry has been widely used to enable young children to have a voice throughout the technology development process (Druin, 1999), based on the observation that although children are emerging as frequent and experienced users of technology, they were rarely involved in the development process. In these efforts, alterations were made to the traditional user requirement gathering techniques used in the process in order to meet the children’s needs. For example, the adult researchers used note-taking forms, whereas the children used drawings with small amounts of text to create cartoon-like flow charts. Overall, involving children in the design process as equal partners was found to be a very rewarding experience and one that produced exciting results in the development of new technologies. Designing technology applications to support older people in their homes has also shown an increase in necessity as the developed world is ageing. However, designing for this group of users is not an easy process as developers and designers often fail to fully grasp the problems that this user group faces when using technologies that affect their everyday life. HCI research methods need to be adjusted when used on this user group. They have to take into consideration that older adults experience a wide range of age-related impairments, including loss of vision, hearing, memory and mobility, which ultimately also contribute to loss of confidence and difficulties in orientation and absorption of information. Participatory design techniques can help designers reduce the intergenerational gap between them and older people, and help better understand the needs of this group of users (Demirbileka and Demirkan, 2004). When older people participate in the design process from the start, their general fear towards using technology decreases, because they feel more in control and confident that the end result of the design process has truly taken into consideration their needs. The table below (adapted from Antona et al., 2009), summarises the design methods and techniques discussed in the previous sections, suggesting an indicative path towards method selection for different target user groups. Speech output systems, which include applications that only utilize speech for output while leveraging other technologies, such as the keyboard and mouse, for input. Screen access software, which is often used by individuals with visual impairments, is an example of speech output. Speech recognition systems, which include applications that utilize speech for input and other modalities for output, such as speech-based cursor control in a GUI (Graphical User Interface) and speech-based dictation systems. Spoken dialogue systems, which include applications that utilize speech for both input and output, such as telephony systems and speech-based environment control systems with voice feedback. dictation applications which support users as they compose emails, letters, and reports as well as smaller tasks such as filling in portions of forms where free-form input is allowed. Perhaps the most critical obstacle to date for the use of speech-based user interfaces has been recognition errors and the cumbersome recovery process. Author/Copyright holder: Emerging Technologies. Copyright terms and licence: All Rights Reserved. Used without permission under the Fair Use Doctrine (as permission could not be obtained). See the "Exceptions" section (and subsection "allRightsReserved-UsedWithoutPermission") on the pagecopyright notice. The use of small vocabularies can significantly reduce recognition error rates. Speech-based command and control systems allow users to interact by speaking predefined commands. Such systems often translate the user’s utterances into system commands by matching the acoustic signal with models associated with each of the currently available commands. Some systems use a simple menu, allowing users to select the appropriate option at each stage using simple spoken commands. Other systems try to establish a dialogue with the user in an attempt to gather the necessary information and complete the transaction as quickly as possible. Multiple speech-based command and control solutions exist which emulate the conventional keyboard and mouse, allowing users to manipulate traditional graphical user interfaces via speech. These solutions are used by some individuals with physical disabilities who have difficulty using more traditional interaction solutions. Speech-based command and control systems are used for environmental control applications, allowing users to manipulate thermostats, lights, televisions, and any number of other devices. Speech-based dictation systems can allow users to generate large quantities of text via speech. A speech recognizer is used to translate an audio signal into text. Dictation systems use a much larger vocabulary. As a consequence, dictation applications tend to be less accurate than command and control systems, and it is normally recommended that users create a personal speech profile to improve recognition accuracy. When feasible for the user, environment, and task, effective multimodal error correction solutions can provide an efficient alternative. Large vocabulary dictation systems can provide a powerful alternative to the traditional keyboard and mouse, allowing the generation of a variety of documents such as emails, papers, and business reports. Importantly, the ability to produce such documents can significantly increase both educational and career opportunities. For the general public, such systems may serve as a useful alternative reducing the risk of keyboard or mouse based repetitive strain injuries. Hands have an impressive ability to perform different kinds of manipulation tasks, from working with miniature details to lifting heavy objects. Tactual information obtained via the skin has a basic importance for performance, but when the hands are functioning, there is a close cooperation between the sensors in the skin and sensors in the muscles, tendons and joints. The neural system coordinates efficiently the different kinds of sensory information with the muscles performing the movements. Touch as a skin sense is often considered as a passive receiver of stimulation from the environment. However, the hand also relies on exploration to collect information. Active touch is often called haptics. The use of haptics in interaction can support both vision and hearing, and offers additional possibilities to provide people with reduced functioning of senses such as vision and hearing with alternative options. The same interfaces may be used by all users in eyes-busy situations, or by visually impaired people in computer use. In addition, haptics also has the potential to help people with motor problems, as force feedback can be used to add extra strength or stability to motor actions (Jansson and Raisamo, 2009). With respect to vision, sometimes haptics provides more advanced information, for instance concerning the weight of objects and the texture and hardness of surfaces. However, it lags behind vision in providing an overview of a scene. Obtaining an overview of a scene haptically may be a laborious and time-consuming task, requiring several explorations of the scene. Such differences are important to consider when dividing tasks between visual and haptic displays. The space covered by the two senses is also a very important difference. Vision allows the sensing of information kilometers away, while haptics is mainly restricted to the space within arm’s reach. One property of haptics is remote touching, that is, the experience of a distant object via some medium. The hand can pick up information via a tool and locate the information to the end of the tool. Visually impaired persons with a long cane can perceive the properties of the ground when touching it with the cane. Low-tech aids such as the long cane, Braille and embossed pictures are often used by the visually impaired. In all these cases, interaction between the haptic sense and the environment is important. Technically very simple aids, such as the long cane, can be very efficient if they make available the proper information and utilize the natural capacities of the haptic sense. A visually impaired person can read text by using the hands to obtain a tactile equivalent of visual letters and other symbols, the most common version being Braille, coded within a six-point (or sometimes eight-point) rectangular matrix that is presented in embossed form and read by the fingers. There is also a mechanical Braille version consisting of matrices of pins. Matrices of point stimuli can be seen as representations of physical surfaces with low spatial resolution. Such matrices replace or supplement low-tech aids with technology providing more advanced information. One option is to present an extended matrix in contact with the skin. Such a matrix makes it possible to form a pattern by dynamically elevating some of the pins above the rest of the matrix. The pins can be either static or vibrating. Author/Copyright holder: handytech.de. Copyright terms and licence: All Rights Reserved. Used without permission under the Fair Use Doctrine (as permission could not be obtained). See the "Exceptions" section (and subsection "allRightsReserved-UsedWithoutPermission") on the page copyright notice. Haptic displays are for haptics what computer screens are for vision and loudspeakers for hearing. They are devices allowing the haptic manipulation of virtual objects and scenes via a computer. They are of interest both for people with vision as complements to visual and auditory information, and for people without vision as a substitute for this sense. Haptic displays provide force feedback by a “collision” between the endpoint of a stylus, a thimble or similar tool in a user’s hand, and the surface of a virtual object. In addition to the shape of objects, surface properties such as hardness/softness, texture and friction can be rendered in 3D for haptic exploration. The enormous potential of haptics when functioning in natural contexts is only partly utilized by the haptic displays developed so far. The most important constraints concern the number and size of contact surfaces. When the bare hand is used naturally, there are several contact surfaces and each of them has an extension of roughly at least a finger pad. In present day haptic displays, the number of contacts is quite low, in most cases just one. The contact surface is also, except in a few devices, only a tiny point. These differences with respect to natural haptics have important effects for the efficiency of haptic displays. Author/Copyright holder: Novint Technologies Inc. Copyright terms and licence: All Rights Reserved. Used without permission under the Fair Use Doctrine (as permission could not be obtained). See the "Exceptions" section (and subsection "allRightsReserved-UsedWithoutPermission") on the pagecopyright notice. Scanning is an interaction method addressing users with severe motor impairments in upper limbs (Ntoa et al, 2009). The main concept behind this technique is to eliminate the need for interacting with a computer application through traditional input devices, such as a mouse or a keyboard. Instead, users are able to interact with the use of switches. Scanning software makes the interactive objects composing a graphical user interface accessible through switches. It goes through the interactive interface elements and activates the element indicated by the user through pressing a switch. In most scanning software, interactive elements are sequentially focused and highlighted (e.g., by a colored marker). Furthermore, to eliminate the need for using a keyboard to type in text, an on-screen keyboard is usually provided. During scanning, the focus marker scans the interface and highlights interactive objects sequentially, in a predefined order (e.g., from left to right and from top to bottom). Scanning can be either automatic or manual. In the first case, the marker automatically moves from one interface element to the next after a predefined time interval of user inactivity (i.e., not pressing the activation switch), while the time interval can usually be customized according to user needs. In manual scanning, the user moves the focus marker to the next interface element whenever she/he wishes with the use of a switch. Activation switches can vary from hand, finger, foot, tongue or head switches to breath-controlled switches or eye-tracking switches. 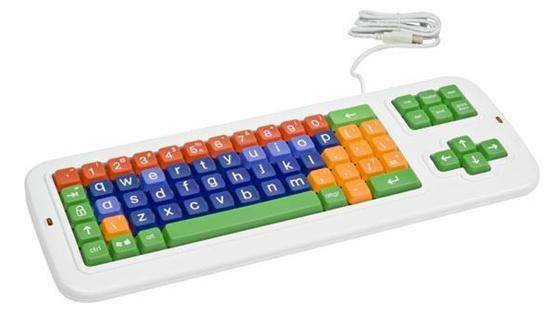 Furthermore, any keyboard key (e.g., the space key) or mouse click can be used as a switch. Block scanning, in which items are grouped into blocks, aiming to minimize user input and enhance the interaction speed. Two-directional scanning, in which the user selects an element by specifying its coordinates on the screen that is being scanned, first vertically, through a line that moves from the top of the screen towards the bottom, and then horizontally, through a pointer that moves along the selected horizontal line. Eight-directional scanning, which is used by several mouse emulation software products. In this method, the mouse pointer can be moved in one of eight directions, according to the user’s preference. In order to achieve this, the pointer icon changes at specific time intervals to indicate one of the eight directions. The user selects the desired direction by pressing a switch and then the pointer starts moving in that direction. Once the pointer reaches the specific screen location that the user wishes to select, it can be stopped by a switch or key press. Cluster scanning, in which elements on the screen are divided into clusters of targets, based on their locations. Adaptive scanning, in which the system’s scan delay is adapted at runtime, based on measurements of user performance. Applications with embedded scanning are developed so as to support scanning in the first place and are accessible to people with motor impairments. However, a user would need more than one application in order to carry out a variety of everyday computing tasks (e.g., web browser, email client, entertainment software, educational software, document authoring software, etc.). Scanning tools enable users to operate the graphical environment of the operating system, thus eliminating the need to use various specialized applications for carrying out everyday tasks. 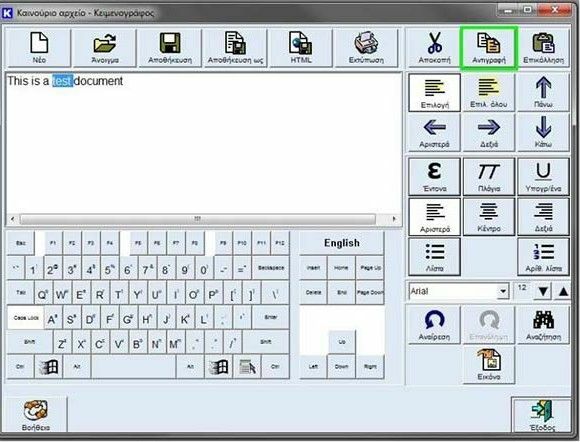 Keyboard and mouse emulation software with embedded scanning are popular among scanning tools, since they ensure user interaction without the need to use the traditional keyboard and mouse. A variety of approaches have been developed towards keyboard and mouse emulation (Evreinov, 2009). Mouse emulation with scanning support software allows users to control the mouse pointer using one or two switches. People use their eyes mainly for observation, but also use gaze to enhance communication. The direction of a person’s gaze reveals their focus of visual attention, thus allowing eye gaze tracking for communication. In some cases, eye gaze may be the only communication option available for an individual. For example, after a severe accident a person may not be able to speak, in which case, a doctor may ask the person to “look up” or “look down” as an indication of understanding and agreement. This method of communication can be expanded from a simple “yes” or “no” command to a communication system by adding meaningful objects in the view of a user. An example of this approach is the gaze communication board, where a board has pictures, commands or letters attached to it. The user selects items on the board by looking at them. The message is interpreted by other persons by following the user’s eye. Such a system illustrates the simple communication power of eye gaze tracking. Computer based gaze communication systems have been developed, where an eye tracking device and a computer replace the manual communication board (Majaranta, Bates and Donegan, 2009). In these eye tracking systems letters (or any other symbols, images or objects) are shown on a computer screen placed in front of the user. The user simply points and selects these items by looking at them, with an eye tracking device recording their eye movements and a computer program analyzing and interpreting their eye movements. Such a system forms a basic gaze communication system. Recent advances in technology have considerably improved the quality of eye tracking systems, such that a far broader group of people may now benefit from eye control. Author/Copyright holder: Designtechnica Corporation. Copyright terms and licence: All Rights Reserved. Used without permission under the Fair Use Doctrine (as permission could not be obtained). See the "Exceptions" section (and subsection "allRightsReserved-UsedWithoutPermission") on the page copyright notice. Normal eye movement is made from fixations on objects of interest (200 - 600 ms) joined by rapid saccades (30 - 120 ms) between those objects, with occasional smooth pursuit (follow a moving target) of moving objects. Since the fovea area of acute vision is fairly small, and people actually need to direct their gaze nearly directly towards an object of interest to get an acute view of the object (within 1 degree or so) this is what makes tracking the gaze direction possible: hence, if the eye is pointing at an object, the user is probably looking and perceiving that object. Eye movements are also largely unconscious and automatic; people do not normally need to think where to look. When needed, however, one can control gaze at will, making eye control possible. The development of computing power has enabled gathering of eye tracking data in real time, as well as the development of assistive technology systems aimed directly at people with disabilities. Current eye tracking technologies have evolved into a range of technologies: electro-oculography (EOG) where the user wears small electrodes around the eye to detect the eye position; scleral contact lens/search coil where the user wears a contact lens with a magnetic coil on the eye that is tracked by an external magnetic system; video-oculography (VOG) or photo-oculography (POG) where still or moving images of the eye are taken to determine its position; and finally video-based combined pupil/corneal reflection techniques that extend VOG by artificially illuminating both the pupil and cornea of the eye for increased tracking accuracy. Most of the currently available eye control systems are video based with corneal reflection. People who are unable to move but have good control over eye movements have traditionally been the best candidates for eye tracking systems. Immobility can make tracking easier in contrast to people who can move (voluntarily or involuntarily, for example in the case of cerebral palsy). However, eye control may still be a genuine choice for all users, as eye control can be faster and less tiring than, for example, a manual switch based system or a head pointing based system. 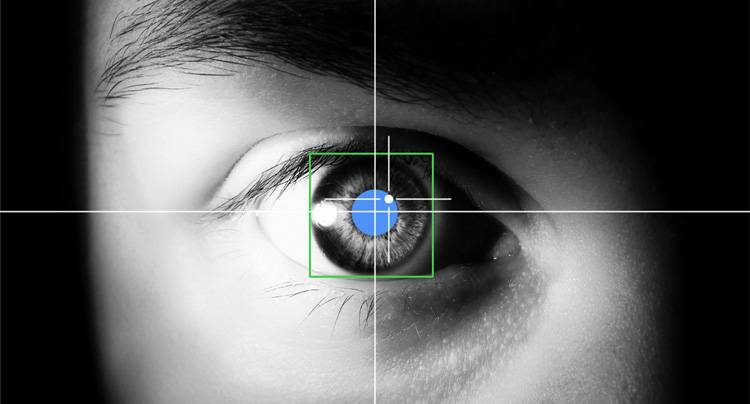 Eye movements are extremely fast, and gaze pointing locates and points at a target long before a manually controlled mouse cursor may reach it. Interpreting a person’s intentions from their eye movements is not a trivial task. The eye is primarily a perceptual organ, not normally used for control, so the question arises of how casual viewing can be separated from intended gaze-driven commands. If all objects on the computer screen reacted to the user’s gaze, this would cause the so-called “Midas touch” (or “Midas gaze”) problem: “everywhere you look something gets activated”. The obvious solution is to combine gaze pointing with some other modality for selection. If the person is able to produce a separate “click”, then this click can be used to select the focused item. This can be a switch, a blink, a wink, a wrinkle on the forehead or even smiling or any other available muscle activity. Blinks and winks can be detected from the same video signal used to analyze eye movements, removing the need for additional switch equipment. If a user is only capable of moving their eyes, separate switches are not an option, and the system must be able to separate casual viewing from intentional eye control. The most common solution is to use dwell time, a prolonged gaze, with duration longer than a typical fixation (typically, 500-1000 ms). Most current eye control systems provide adjustable dwell time as one of the selection methods. Requiring the user to fixate for a long time does reduce false selections, but it is uncomfortable for the user, as fixations longer than 800 ms are often broken by blinks or saccades. Another solution for the Midas touch problem is to use a special selection area or an on-screen button. Increasing the size of the targets on the screen improves the performance of eye gaze input. Making on-screen objects larger can make a difference between a user being able to use an eye-tracking device or not being able to use it at all. However, having only a few, large on-screen buttons at a time prevents the use of full-size keyboards such as a full “qwerty” keyboard. Instead, keys and controls can be organized hierarchically in menus and sub-menus, and special techniques such as automatic word prediction can be used to speed up the text entry process, with ambiguous or constantly changing and adapting keyboard layouts. Gaze pointing, or placing the computer mouse cursor where the user is looking on the computer screen, is an intuitive method that requires little training, as it mimics the operation of a normal desktop mouse. Binding eye movements directly to mouse movements creates an “eye mouse”. This may seem an easy solution; however, there are several issues that have to be taken into account. Eyes move constantly, and make small corrective movements even when fixating. If the cursor of such “eye mouse” followed eye movements without any smoothing, the cursor movement would appear very jerky and it would be difficult to concentrate on pointing, as the cursor itself would attract attention. The main benefit of using mouse emulation is that it enables access to window-based graphical user interfaces. In addition, it enables the use of any existing access software, such as environmental control applications or “dwell click” tools. However, it should be noted that for a profoundly disabled person who does not have prior experience of any method of computer control, it may take time to master a gaze-pointing eye control system. What makes certain eye tracking systems more suitable for people with disabilities are the applications (software) that are supported or come with the system. Author/Copyright holder: DynaVox. Copyright terms and licence: All Rights Reserved. Used without permission under the Fair Use Doctrine (as permission could not be obtained). See the "Exceptions" section (and subsection "allRightsReserved-UsedWithoutPermission") on the page copyright notice. Eye typing is typically the first application implemented and tried out by users with an eye control system. Eye typing can be slow, typically below 10 words per minute (wpm), due to dwell-time durations setting a limit on the maximum typing speed. When the user types by gaze, they cannot see the text appear in the text input field at the same time as they select a letter by “eye pressing” a key on an on-screen keyboard. To review the text written so far, the user needs to move their gaze from the on-screen keyboard to the typed text field. This shifting can be reduced by adding auditory feedback, e.g., an audible “click”, or by speaking out each letter as they are written. Appropriate feedback also increases performance and improves accuracy. Providing appropriate feedback on the dwell-time progress and the selection process may significantly improve performance and make eye control more pleasant for the user. When physically clicking a button, the user also feels and hears the button “click”. Such extra confirming (auditory or tactile) feedback is missing when an “eye press” is used to click, and so must be provided. In addition to eye typing, there are several (dedicated) eye-controlled applications, such as eye drawing, eye music, internet browsing, email, games etc. 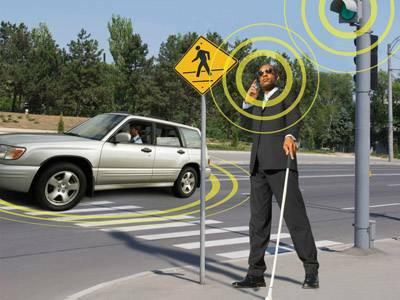 Such applications are included in many of the commercial eye control systems targeted at people with disabilities. Still, an extensive study on user requirements by Donegan et al. 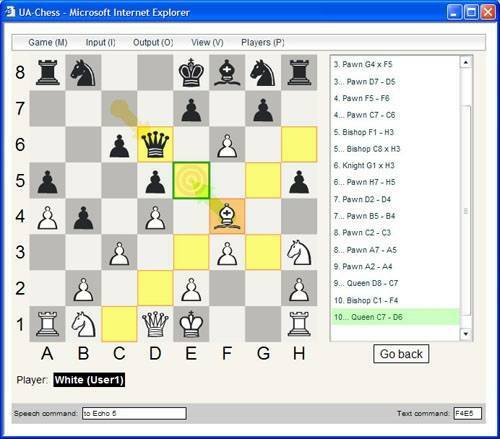 (2005) shows that, to date, eye control can effectively meet only a limited range of user requirements, and can only be used effectively by a limited number of people with disabilities. Furthermore, the range of applications that are suitable for easy and effortless control by the eye is limited. 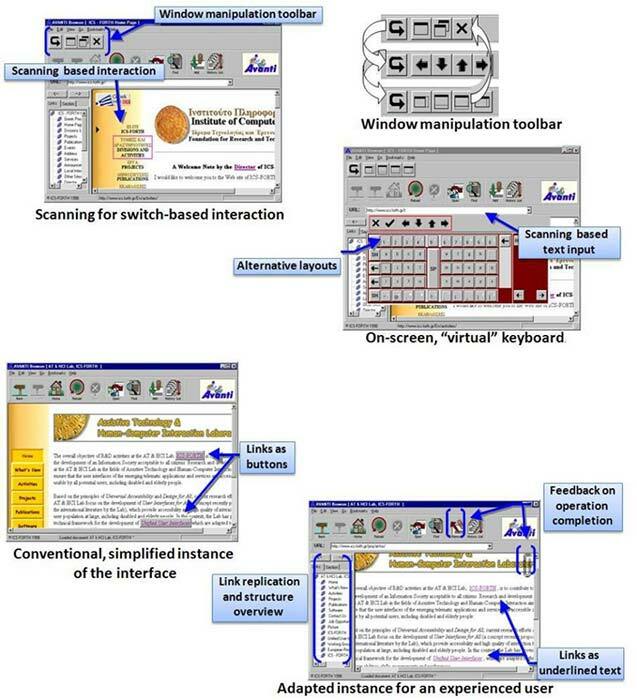 The challenge of enriching a user’s interaction with computer systems, beyond a typical mouse and a keyboard, was early recognized in the HCI field. Gestures are a powerful feature of human expression, either alone or as a means for augmenting spoken language. Technology-wise, there are various approaches to gesture recognition, employing a variety of imaging and tracking devices or gadgets. Wearable devices are an unobtrusive solution to gesture-based interaction, functioning not only as an output but also as an input device. Gesture recognition is also possible using accelerometer-based information, available in numerous consumer electronics. Computer vision is also used for recognizing gestures through users’ bare hands. Zabulis et al. (2009) identify a large number of methods proposed in the literature that utilize several types of visual features, such as skin color, shape, motion, and anatomical models of hands. Finally, recent research efforts have studied the issue of gesture recognition with the use of gaming devices such as Microsoft Kinect. Author/Copyright holder: Microsoft Corp. Copyright terms and licence: All Rights Reserved. Used without permission under the Fair Use Doctrine (as permission could not be obtained). See the "Exceptions" section (and subsection "allRightsReserved-UsedWithoutPermission") on the page copyright notice. Gesture-based interfaces can be employed in order to address the needs of people with disabilities, e.g. for home automation (Starner et al., 2000). However, a point of caution needs to be made over the interactions of people with disabilities and their accommodation by gesture-based systems, as there may be considerable limitations of the interaction for users with hand or cognitive disabilities. Also, care should be taken to provide the appropriate system feedback for gestural interactions of blind and low vision users. Gestural interfaces become even more challenging when addressing users with multiple limitations, due to age or illness. Recent advances in technology allow exploiting not only hand gestures, but also the users’ head and body movements as a means for providing information to computer systems. Computer control is a domain where head-based interaction is used, addressing mainly disabled or situationally disabled users. For example, head tracking using a stereo camera and a head-mounted tracking device has been used in cursor control and target selection tasks in desktop and interactive room environments (Morency et al., 2005). Alternative approaches suggest using the nose for cursor control and for hands-free games and interfaces in general (Gorodnichy and Roth, 2004), given that the nose, as the most protruding and the furthest from the axes of head rotation part of a person’s face, has the largest degree of motion freedom. Another novel interaction technique employs a 3D audio radial pie menu that operated through head gestures for selecting items (Brewster et al., 2003). Users found such novel interactions comfortable and acceptable when tested under “eyes-free” mobile conditions. Commercial products towards computer control include the head mouse control, as well as head-controlled switches. Head mouse control devices use an infrared wireless optical sensor or a high resolution camera which tracks a tiny disposable target that is worn by the user in a convenient location on their forehead, glasses, hat, etc., thus translating the movements of the user’s head into directly proportional movements of the computer mouse pointer. Brain Interfaces have been defined as a real-time communication system designed to allow a user to send messages voluntarily without sending them through the brain’s normal output pathways such as speech, gestures or other motor functions, but only using bio-signals from the brain. This type of communication system is needed by disabled individuals who have parts of their brain active, but have no means of communicating with the outside world. Brain Interfaces can provide new augmentative communications channels for those with severe motor impairments (Gnanayutham and George, 2009). There are two types of Brain Interfaces, namely invasive (signals obtained by surgically inserting probes inside the brain), and non-invasive (electrodes placed externally on part of the body). The risks, difficulties and requirements involved in invasive Brain Interfaces make non-invasive Brain Interfaces the preferred choice for an assistive technology device. Non-invasive technology involves the collection of control signals for the Brain Interface without the use of any surgical techniques, with electrodes placed on the face, skull or other parts of the body. The signals obtained are first amplified, then filtered and thereafter converted from an analogue to a digital signal. Bio potentials are electrical signals from the brain which can be obtained from skull, forehead or other parts of the body (the skull and forehead are predominantly used because of the richness of bio-potentials in these areas). Each bio-potential has its own unique characteristics, such as amplitude, frequency, method of extraction, and time of occurrence. Each brain-injured patient (apart from persistive vegetative state patients) can produce one or more of these bio-potentials with differing degrees of consistency. Brain injured patients can operate Brain Interfaces depending on the reliability of the bio-potential which they can produce. Current Brain Interfaces can transfer data up to 68 bits/second. Electroencephalography measures electrical brain activity that results from thoughts or imagined movements. Electroencephalographic signals can be collected by electrodes placed on the scalp or forehead. Electromyographic and electrooculargraphic signals are the two front-runners for the most suitable bio-potentials for non-invasive Brain Interfaces. They are high amplitude bio-potentials, which can be more easily produced by a patient in comparison to other bio-potentials. Various electrode positions are chosen by the developers, such as electrode caps, electrode headbands with different positions and number of electrodes or the International 10-20 System. The caps may contain as many as 256 electrodes, though typical caps use 16, 32, 64 or 128 positions, and each cap has its own potential sources of error. High-density caps can yield more information, but in practice they are hard to utilize for real time communications. This is due to the fact that the bio-potentials obtained from these large numbers of electrodes could possibly need extensive off-line processing to make any sense of what the user is trying to express. There is only one agreed standard for the positions and number of electrodes, which is the International 10-20 System of electrodes. Author/Copyright holder: Honda. Copyright terms and licence: All Rights Reserved. Used without permission under the Fair Use Doctrine (as permission could not be obtained). See the "Exceptions" section (and subsection "allRightsReserved-UsedWithoutPermission") on the page copyright notice. Brain interfaces can be used to communicate by using targets that contain words or phrases, switch devices on/off, launch computer applications, spelling by choosing individual words, dialing a telephone, surfing the net, operating rehabilitation robots, controlling wheel chairs etc. Brain Interfaces so far have not been shown to be dependable enough for main software manufactures to integrate them into mainstream operating systems and applications. 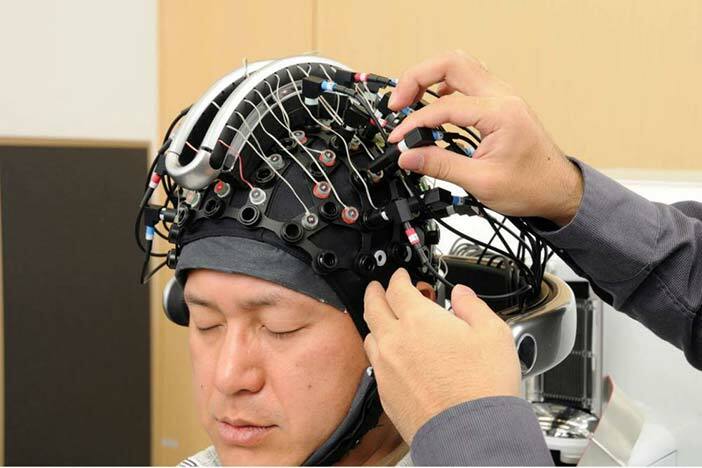 Many Brain Interface research applications are laboratory implementations, with limited test results obtained from the brain-injured community. The pace of research is increasing, and good progress is being made in the area of assistive technology. This technology is promising but more evaluation has to be carried out with disabled participants in the field. Despite the potential shown by many Brain Interface devices, limited use of them is made by the disabled community. 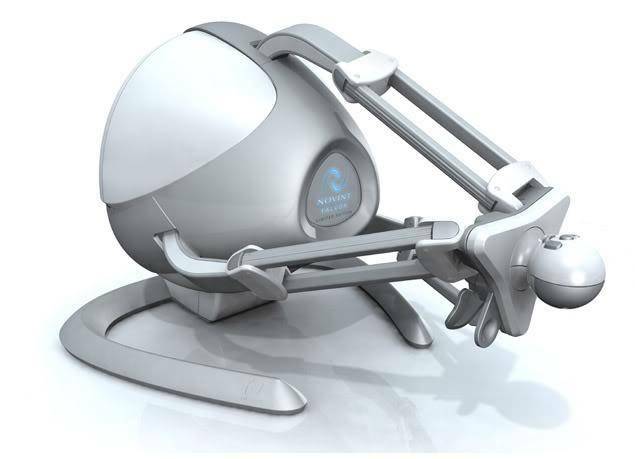 There is a clear need to take this technology outside the laboratory and into the field to nursing homes and hospitals. Research is also being conducted in wearable wireless Brain Interfaces where technology such as Bluetooth is proposed for transmitting and receiving signals from the participant. Interactions with computers involve reading or writing text. Deaf users, at first glance, would not appear to be disadvantaged in their ability to read and write. However, interfaces requiring reading and writing also have the potential to disenfranchise many deaf users. Millions of deaf and hard of hearing people worldwide use a sign language to communicate. Sign languages are naturally occurring languages with linguistic structures (e.g., grammars, vocabularies, word order, etc.) distinct from spoken languages. For instance, American Sign Language (ASL) is the primary means of communication for an estimated half a million people in the United States. ASL is a full natural language that includes various linguistic phenomena that make it distinct from English. Sign languages are not based on the spoken languages of the region. ASL is a visual language in which the signer’s facial expression, eye gaze, head movement, shoulder tilt, arm movements, and hand shapes convey linguistic information; however, it is not enough to know how a signer’s body moves in order to understand an ASL sentence. It is also necessary to remember how the “signing space” around their body has been filled with imaginary placeholders that represent the entities under discussion. There are a number of factors that determine whether an individual with hearing loss will use a sign language, including their family circumstances, educational experience, age of onset of hearing loss, and degree of hearing loss. Signers comprise a Deaf Community, whose membership is determined more by a shared language rather than by degree of hearing loss. In fact, people who experience hearing loss as adults tend not to become signers or members of this community. Contrary to popular expectation, sign languages are not universal; Deaf Communities around the world have their own native sign languages. Deaf individuals often acquire a sign language as their first language and are most fluent and comfortable in this first language. Few computer user interfaces make sufficient accommodation for deaf users. Despite the fact that many deaf individuals are skilled readers, not all deaf signers develop this level of proficiency. For example, studies have shown that the majority of deaf high school graduates in the United States have only a fourth grade English reading level—this means that deaf students around age 18 have a reading level more typical of 10-year-old hearing students. Sign language interfaces are a necessity for that subset of the deaf population with difficulty in reading and writing (Huenerfauth and Hanson, 2009). A machine translation system from English text into ASL animations could increase the accessibility of user interfaces for signers. Instead of presenting written text on a television screen, telephone display, or computer monitor, each could instead display ASL signing. In addition, technologies for recognizing sign language could also benefit deaf signers. The ability to input commands to a computing system using ASL would make the interaction more natural for deaf signers, and the ability of the system to translate sign language input into English text or speech could open additional avenues of communication for deaf signers with low levels of English literacy. The ultimate sign language interface tool would be one that could recognize sign language input while also having the ability to output sign language from spoken utterances or text. Such a tool would allow easy interaction between deaf signers and hearing speakers. It would also allow deaf signers natural and easy access to computers and other devices. However, today, both production and, even more so, recognition systems are in relatively early stages of development. A number of applications have been developed that display videos of humans performing sign language. These interfaces have been employed not only for making audio and speech materials accessible to signers, but also for teaching reading and writing to deaf signers. While using videos of human sign language performances can be appropriate when there are a finite set of sentences that a system must convey to the user, it is difficult to use videos as the basis for a computer system that must generate/assemble novel signed sentences. 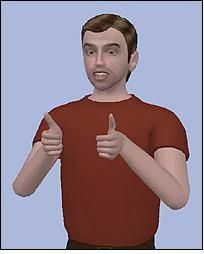 Most successful sign language generation systems have instead chosen to create animations of a 3D human-like character that moves to perform a sign language message. This approach has the advantage of allowing the system to blend more easily together individual signs into a smooth-looking sign language sentence. Research into virtual reality, human modeling and animation has reached a point of sophistication where it is now possible to construct a human model which is articulate and responsive enough to perform sign languages. The level of quality of such human avatar animations has increased such that human signers can now view the onscreen animations and successfully interpret the movements of the avatar to understand its meaning. Author/Copyright holder: BBC. Copyright terms and licence: All Rights Reserved. Used without permission under the Fair Use Doctrine (as permission could not be obtained). See the "Exceptions" section (and subsection "allRightsReserved-UsedWithoutPermission") on the page copyright notice. Sign Language Translation Systems analyze the linguistic structure of the input text. The grammatical structure, word order, and vocabulary of the text are translated into the appropriate sign language grammatical structure, word order, and vocabulary. Such systems produce a script that specifies the sign language performance—generally using sign language synthesis software to produce an actual animation output in which a human-like character performs the sign language sentence. Sign recognition has the goal of automatically converting the sign language performance of a human user into a computational representation of the performance; this allows the computer to identify the meaning of the user’s signing and possibly to later translate it into text or speech. Educational software can be created to help users learn sign language literacy skills (by watching sign language animations or performing sign language that is recognized by the system) or to help users learn other academic content (through explanation in the form of sign language animation). Sign language scripting software can also be created to allow users to create and edit sign language animations much as word processing software allows editing of written language content. 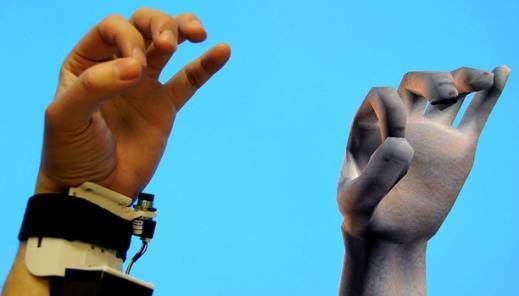 In the near future, deaf signers may be able to benefit from machine sign language translation technologies in various applications as long as they are aware that signed translations may not be as accurate as those provided by human interpreters. Given the relatively young state-of-the-art of sign language technologies, service providers (e.g., governments, companies, media outlets, etc.) must be careful not to deploy these technologies prematurely in the name of accessibility. Multimodal interaction is a characteristic of everyday human discourse. People speak, shift eye gaze, gesture, and move in an effective flow of communication. Multimodal user interfaces enrich interaction with these elements of natural human behavior. Multimodal systems process two or more combined user input modes—such as speech, pen, touch, manual gestures, gaze and head and body movements—in a coordinated manner with multimedia system output (Oviatt, 2003). They are “multi-sensory” (i.e., they utilize multiple sensory modalities), “multi-channel” (i.e., they utilize multiple channels, on the same or different modalities), “multi-tasking” (i.e., they allow users to perform several tasks at the same time), and “multi-form” (i.e., they allow users perform the same tasks in alternative ways). Research on modalities and multimodality in human-computer interaction has had major beneficial effects for Design for All. The increase in the range of available modalities and styles of multimodal interaction makes it possible to compensate for a growing diversity of physical disabilities, and thus to provide a larger community of disabled users with easier computer access and appropriate facilities for browsing and processing digital information, reducing the need for assistive technologies. Multimodal interfaces have the potential to greatly expand the accessibility of computing to diverse non-specialist users and they will “increase the accessibility of computing for users of different ages, skill levels, cognitive styles, sensory and motor impairments, native languages, or even temporary illnesses” (Oviatt and Cohen, 2000). For example, multimodal interfaces have features that could help to overcome some of the limitations of existing solutions for the blind. In particular, they could provide better adaptation to users’ needs, more intuitive, concise and quick interaction modes, easier learning and reduction of memorization efforts, and could increase power expression (Bellik and Burger, 1994). Different modalities can be used concurrently, so as to increase the quantity of information made available or present the same information in different contexts, or redundantly, to address different interaction channels, both to reinforce a particular piece of information or to cater for the different abilities of users (Antona et al., 2007). 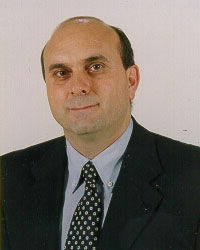 Recent advances in the processing of novel input modalities, such as speech, gestures, gaze, or haptics and synergistic combinations of modalities, provide appropriate substitutes for direct manipulation in situations where the use of a keyboard, mouse, and standard screen is awkward or impossible (Carbonell, 2009). The table below summarises the interaction techniques discussed in the previous sections, the related target user groups and the most typical applications. As a result of the increasing demand for ubiquitous and continuous access to information and services, interactive technologies are evolving towards a new interaction paradigm referred to as Ambient Intelligence (AmI). Ambient Intelligence: In an AmI world, massively distributed devices operate collectively while embedded in the environment using information and intelligence that is hidden in the interconnection network. Lighting, sound, vision, domestic appliances, personal health-care devices, and distributed services all cooperate seamlessly with one another to improve the total user experience through the support of natural and intuitive user interfaces. In short, Ambient Intelligence refers to electronic systems that are sensitive and responsive to the presence of people. Ambient Intelligence will have profound consequences on the type, content and functionality of the emerging products and services, as well as on the way people will interact with them, bringing about multiple new requirements. The potential of AmI environments to address older and disabled people’s everyday life needs is expected to have a radical impact on social inclusion and independent living. Many applications and services which address a wide variety of issues critical for older and disabled people are already becoming available, for example in the domain of Ambient Assisted Living (AAL), and are targeted to make possible and enjoyable a more independent, active and healthy life. A number of ICT solutions address daily and independent living in areas such as social communication, daily shopping, travel, social life, public services, safety, reminders, telecare and telemedicine, personal health systems, and support for people with cognitive problems and their carers (The European strategy in ICT for Ageing Well of 2010). User-friendly interfaces are necessary for all sorts of equipment in the home and outside, taking into account that many older people have impairments in vision, hearing, mobility or dexterity. Clearly, the benefits of AmI environments can only be fully achieved and accepted by their target end-users if such technologies can demonstrably be developed in such a way as to guarantee inclusive accessibility for a wide variety of functional limitations brought about by age or disabilities. In such a dynamically evolving and complex technological environment, accessibility and usability by users with different characteristics and requirements cannot be addressed through solutions introduced once the main building components of the new environment are in place. In such a context, the concept of Design for All acquires critical importance towards streamlining accessibility into the new technological environment through generic solutions (Emiliani and Stephanidis, 2005). However, in the context of Ambient Intelligence, Design for All will need to evolve in order to address a series of new challenges posed by the evolving technological environment. The accessibility of AmI environments poses different problems and is more complex than currently available approaches to the accessibility of desktop or web applications and services, as AmI environments do not simply introduce a new technology, but an integrated set of technologies. Different levels of accessibility may be distinguished. A first level concerns accessibility of individual devices. Interactive devices need to be accessible to their owners according to their needs, but basic accessibility should also be provided for other users with potentially different needs. A second level concerns the accessibility of the environment as a whole, intended as equivalent access to content and functions for users with diverse characteristics, not necessarily through the same devices, but through a set of dynamic interaction options integrated in the environment. It is likely that some of the built-in features of AmI environments, such as multi-modality, will facilitate the provision of solutions that will be accessible by design. For example, blind users will benefit from the wider availability of voice input and output. A novel aspect is that in AmI environments, the accessibility of the physical and of the virtual world need to be combined. For example, for blind, visually impaired and motor-impaired users, requirements related to interaction need to be combined with requirements related to physical navigation in the interactive environment. As a result, developing truly accessible AmI environments is currently very expensive in terms of time, effort, costs and required knowledge, and the results are often of limited flexibility and reusability in terms of accessibility solutions and target user groups addressed. Therefore, it is necessary to elaborate on the one hand a user-centered but also context-aware methodology for enabling Design for All in Ambient Intelligence, and on the other hand modern tools and personalized assistive solutions that will constitute the building blocks for the development of independent living AmI environments addressing the interaction needs of older and disabled persons. Advancing knowledge of user requirements and of the appropriateness of different solutions for different combinations of user characteristics / functional limitations and environment characteristics / functions, and creating related ontological models. Developing reference architectural models that will accommodate system requirements inherent in the Design for All needs in AmI environments, while allowing for accessible multi-modal interaction. Providing ready-to-use accessibility solutions supporting alternative interaction techniques for various combinations of user abilities / functional limitations. 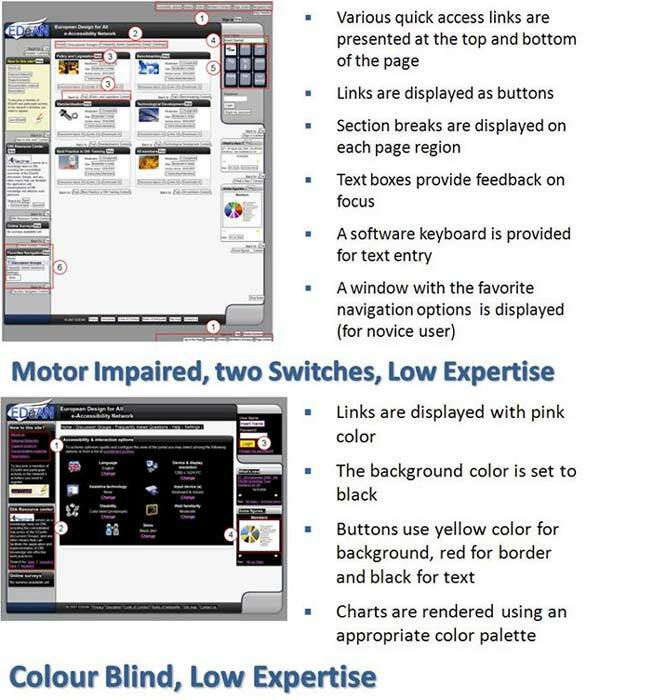 Developing design tools for accessible AmI environments. Developing accessible AmI applications in key everyday life domains, such as, home, work, learning, health and self-care. Evaluating the developed assistive solutions tools and applications in order to assess their accessibility, usability and added value for the target users.